Trusted Media Brands, a leader in brand-driven multi-platform media content, and home to iconic brands such as Taste of Home, Reader’s Digest, and The Family Handyman among others, today announced the appointment of Randy Saperstone to the new position of Vice President, Digital Sales for the company effective July 16, 2018. Saperstone most recently served as Executive Director, Home Category Digital Sales at Meredith where he lead a national digital sales team that was responsible for driving revenue across the company’s Custom Content, Video, Display, and Programmatic channels. Previously, Saperstone served as Director, Strategic Partnership Sales for Realtor.com, where he created and sold custom branded content solutions across multiple platforms integrating Realtor.com, Remodelista, & Dow Jones digital media. He was responsible for writing, producing and marketing “The Big Move,” which was Realtor.com’s first branded content video series. Under his leadership, he also conceived and created the company’s first integrated custom short form videos “Tiny Tips” & “Petite Projects,” which reached an audience of 55 million monthly UVs. He held senior sales and planning roles with Scripps Network Interactive including Advertising Sales Executive, and Manager, Planning and Pricing among others. His client work included multi-platform programs with such well-known brands as Lowe’s, IKEA, Audi, Scotts, The Home Depot, Benjamin Moore, Pella, and DISH Network among others. Friedman says that Saperstone’s addition to the Digital Sales and Marketing team at Trusted Media Brands reflects the company’s incredible growth and momentum in the marketplace. In the last month, the company has added several key media industry leaders including Jason Sinclair, V.P. Marketing, Scott Mulqueen, V.P. Programmatic and Data Product Operations, and Larry Mlawski, V.P. Revenue Operations. 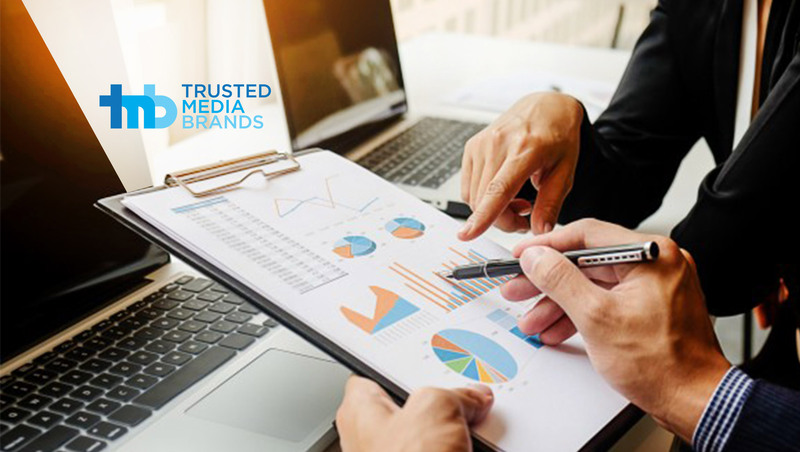 “We believe our deep portfolio of premium brands provides marketers exactly what they are searching for in their desire to connect with consumers in brand safe, content driven environments,” says Friedman. Saperstone holds a B.S. from Syracuse University’s SI Newhouse School of Public Communication. He resides in New Jersey with his family.